The other day, I was over at my friend's studio apartment and I was surprised by how neat and spotless his place was. "Look at that!" I gestured at his meticulously made bed, complete with pastel paisley sheets. "You even made the bed!" My friend laughed. "I make my bed everyday," he explained. "It's one of the things I'm trying to do in order to be more adult." Which got me thinking... what are the things that I do in order to be more adult? Adult here being a relative term, of course. Because on paper, I seem like an adult. I mean, I've been 100% financially independent from my parents for years now; in fact, I just bought my first house at a fairly young age of 26! I work a great job at a respectable software company, exercise on a regular basis, and even have an actual, living being that I take care of and am fully responsible for (but don't get too excited — it's just a cat). So it's all there on paper. But in theory? Not so much. Because the devil's in the details, right? And let's start with this: I have never, ever — not even once! — made my bed in my entire life (with the exception of when I'm a guest at somebody else's home). I just don't see the point. I'm always running a little bit late for work, and given the choice between eating a quick breakfast or making the bed, that bowl of Cinnamon Toast Crunch is always going to win. Besides... the bed will be unmade in about 12 hours or so, and nobody sees the bedroom except for Erlend — again, what's the point? And let's talk about laundry. After years of living in places that had coin-op laundry, I haven't broken the habit of gathering as much laundry as possible and just doing it all in one go — to the point where I've gone through several cheap hampers because they can't handle the weight of my load. And what happens after the clothes are clean? I simply shove all the clothes straight from the dryer back into my hamper, without even folding them. All my clothes are wrinkled like crazy, and guess what? I don't bother ironing them — or putting them away for the matter! Most mornings, I fish out an outfit from a hamper of clean clothes. Because this is it, guys. This is the recipe to use to impress friends and family at a grown-up dinner party. Nothing says "adult" more than this classy buttermilk panna cotta topped with plum and rose water compote. Panna cotta is the kind of dessert that they always serve at expensive restaurants, usually paired with an exotic sounding fruit like passionfruit or huckleberry. As a result, I've always been way too intimidated to make panna cotta at home — surely that creamy, oh-so-silky, melt-in-your-mouth texture required lots of skill and time at a pastry school to master? No, not at all. 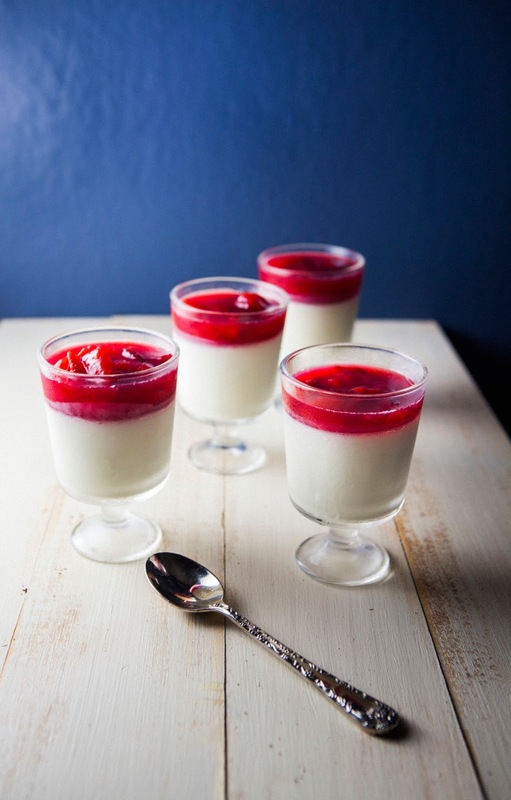 Because the sweet irony is, panna cotta is surprisingly easy to make. These panna cotta cups took less than an hour of my time. Seriously. I just whisked together some cream, buttermilk, sugar, lemon juice and a touch of gelatin and stuck it in the fridge to set. A few hours later, I got this beautiful dessert. And you wouldn't ever guess that such little work went into it, looking at the dessert cups above. So never mind that I don't make my bed or put away my clean laundry. Because come my next dinner party, I'll fool the world into thinking I'm an adult with this sophisticated dessert! I'm half-joking, of course. The recipe for compote is adapted and halved from 101 Cookbooks, while the panna cotta is actually made by yours truly — after researching panna cotta recipes extensively, I took my favorite elements from a variety of sources and created this one with the ingredients I had on hand. Plan ahead for this one. Although it only takes 20 minutes or so to make the panna cotta, the panna cotta needs overnight to set. Rose water is available online, at specialty baking stores, or in some cases, the international section of any fancy grocery store like Whole Foods. Both the compote and panna cotta use a significant quantity of lemon juice; try and use a non-reactive bowl (like glass) when using lemon juice at all times. Lemon in metal bowls sometimes creates a metallic taste. This recipe makes more compote than is needed to top the compote cups. In fact, the quantities I used for each panna cotta (as seen in pictures) ended up being too much, drowning out the flavor of the panna cotta. I recommend only using a tablespoon for each panna cotta cup. So head's up — you will have leftover compote. Eat it with pancakes and/or waffles! To bloom gelatin, sprinkle the gelatin evenly onto the surface of cold water in a bowl. Make sure you sprinkle the gelatin evenly — pouring it into a pile on top of the water will not allow the gelatin to bloom properly since the granules in the center of the pile will remain hard. Allow the granules to soften entirely in the cold water for 3 to 5 minutes; the gelatin has bloomed when it's soft. If it still has hard bits, it needs to bloom longer. If the gelatin is too soft and falling apart, it's overbloomed; discard the gelatin and start over. Speaking of panna cotta cups, there are actually two basic ways to serve panna cotta: in their individual vessels like I did, or inverted onto a plate. The recipe includes instructions for this kind of set-up. 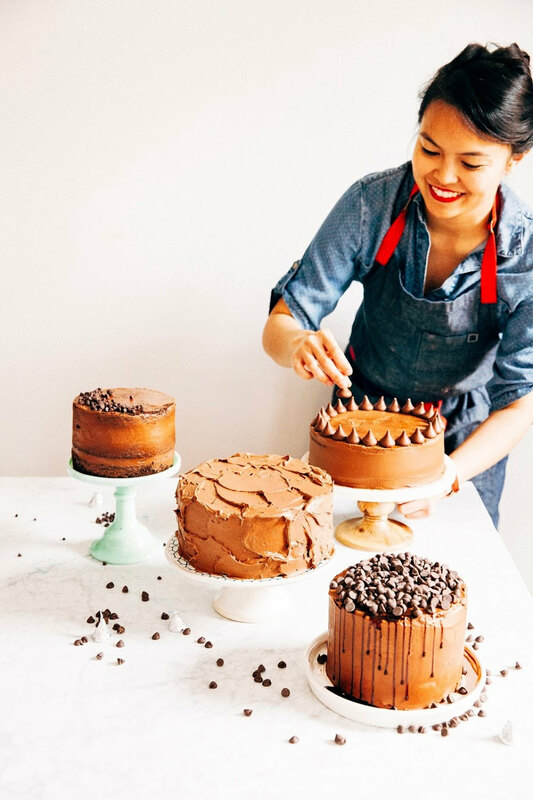 If you opt for a plated presentation, portion the liquid into disposable cups and refrigerate overnight to set. When you're ready to serve, run a knife along the inside perimeter of the cup before pacing it upside down on a plate. Cut a slit in the base of the cup to let in air and "unsuction" the panna cotta. You may have to jostle the cup a little to release the panna cotta. Pit and chop 2 1/2 pounds fresh, ripe plums into small 1/2-inch pieces, placing the contents into a non-reactive bowl (see baker's notes). Once all the plums have been chopped, gently use a rubber spatula to toss the plums with 1/4 cup fresh-squeezed lemon juice, 1 cup granulated sugar and 1 tablespoon rose water, until the plums are evenly coated with the sugar. Allow the mixture to sit for 20 minutes or so. Once the mixture has rested, transfer the contents of the bowl to a medium, heavy-bottomed pot. Bring the mixture to a boil over medium heat, occasionally stirring and scraping the bottom of the pot to make sure that the fruit doesn't burn. Adjust the heat if needed and cook at a lazy boil for about 20 to 25 minutes, skimming off any foam that develops on top. Be mindful of the texture of the fruit, you don't want to cook or stir the fruit to the point that it breaks down and goes to mush! After around 20 to 25 minutes, remove the pot from heat and allow to cool to room temperature. At this point, the mixture should have reduced and thickened considerably. Spoon the compote into a large, air-tight mason jar and refrigerate until ready to use, preferably overnight. The compote will keep for around 1 week. In a large, non-reactive bowl (see baker's notes), combine 1 cup buttermilk, 1/4 cup fresh-squeezed lemon juice and the zest from 1 lemon, whisking the ingredients together until combined. Set aside. Bloom 1 packet unflavored powdered gelatin by sprinkling it over a small bowl filled with 3 tablespoons water. 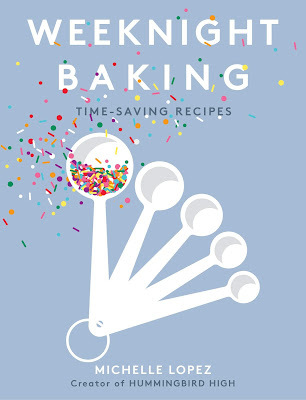 The gelatin is bloomed when the gelatin granules are softened entirely, about 3 to 5 minutes — please see my baker's notes on how to bloom gelatin! While the gelatin is blooming, combine 3 1/2 cups heavy whipping cream and 1 1/3 cups granulated sugar in a medium sauce pot. Over medium heat, warm the cream and sugar to just below a simmer, stirring continuously to dissolve the sugar. Once the cream is just below a simmer, turn off heat and transfer the pot to a wire cooling rack. Whisk in the bloomed gelatin (from the 2nd step), whisking gently but continuously to integrate the gelatin. Once the gelatin has been whisked into the cream, pour the hot cream into the buttermilk-lemon mixture (from the 1st step) and stir gently until the mixture looks homogenous. Carefully transfer the mixture and pour into individual cups, transferring the cups into the refrigerator until set. Depending on our fridge, this can take as little as 3 hours, but it's best to allow the panna cotta to set overnight. Allow the panna cotta to cool down in the fridge for an hour or so, before covering each vessel with plastic wrap (in order to prevent the panna cotta from absorbing any weird flavors from the fridge). Once the panna cotta is set, it is ready to serve. Serve cold and spoon 1 tablespoon of plum and rose water compote on top of each panna cotta serving. 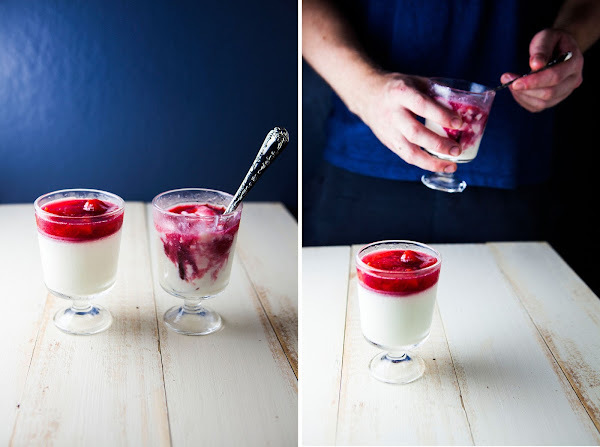 The panna cotta can also be enjoyed with the compote mixed in (as demonstrated by the janky gif of my boyfriend below). I don't iron - but I love making my bed. I just like the way it makes my room look! : ) I love me some panna cotta. Looks so good (and definitely adult) to me. Great idea! 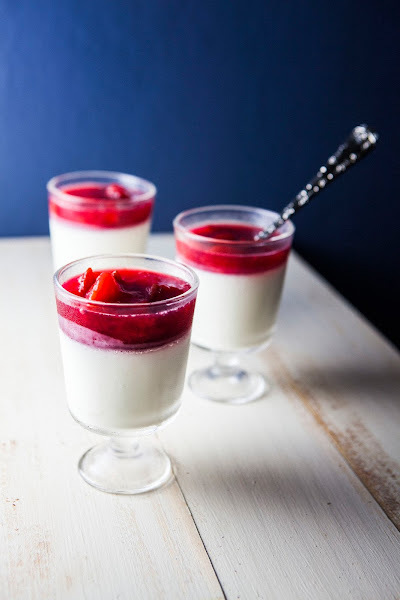 I have a ton of plums (ok, not literally tons, but you get the idea) and I can make the plum compote, steam can it in glass jars and give it as a gift with the Panna Cotta recipe. Now that's adult! I love how light of a dessert panna cotta seems to be- a great way to end a heavy rich meal! I love how you divulged into this post. Reminds me of the book Adulting by Kelly Williams Brown. Here is a tip if you want to "make" the bed in the summer: don't use sheets. Just have a fitted sheet and a comforter, fan the comforter over the bed in the morning, straighten the pillows and you are done! Portland winters are a different story, but I will advise flannel sheets.